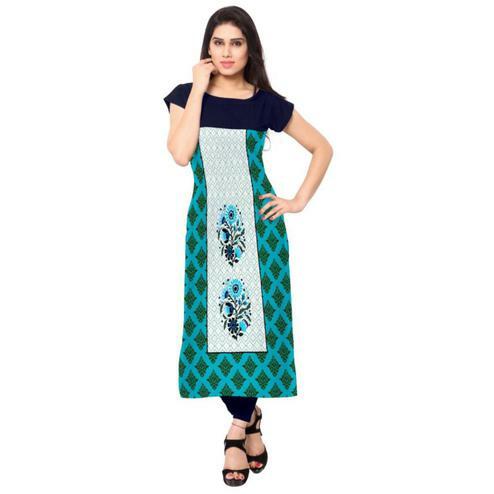 This blue color straight cut kurti in green color has got boat style neck 3/4th size sleeves in solid color floral print at front and plain blue color at back. 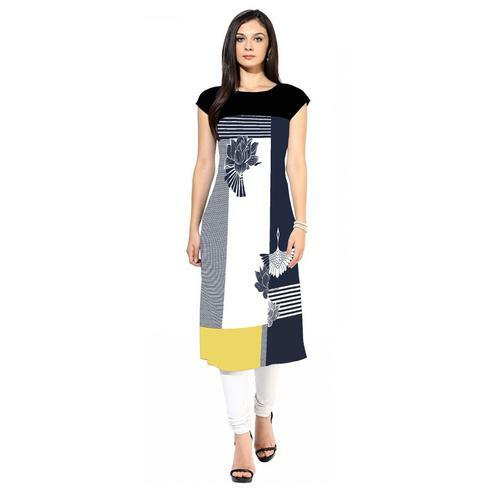 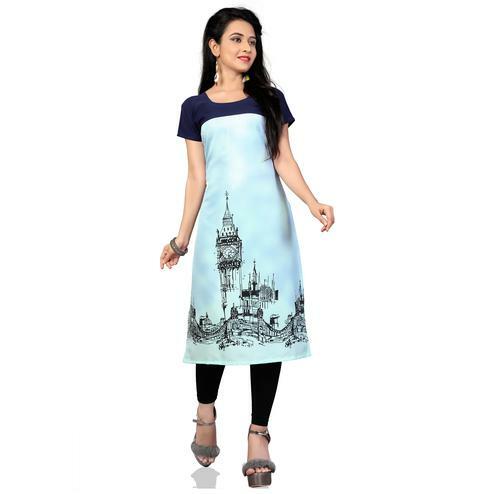 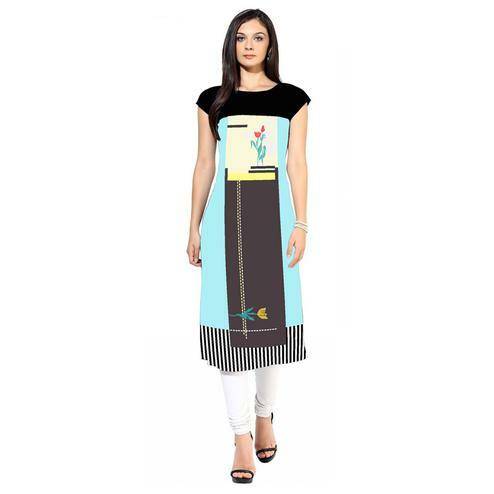 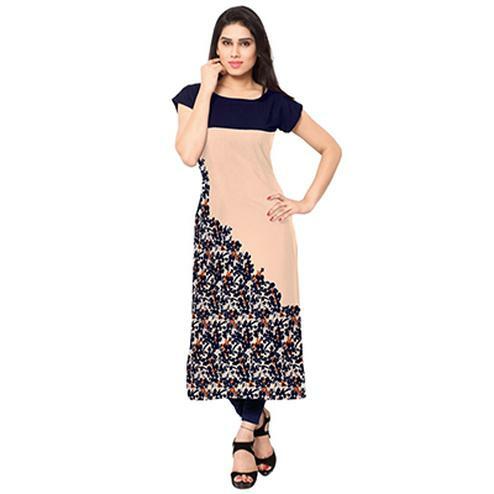 This ready to wear kurti is a great pick for casual and regular wear as it's easy to maintain. 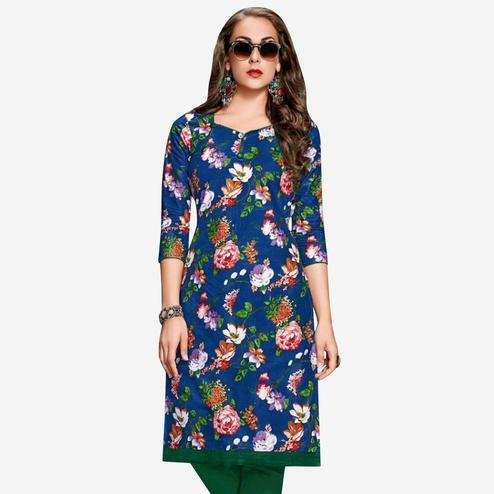 Team it with matching leggings or jeans for complete look.